Although the watch is rose gold on the outside, it's more of a coppery rose gold than Last Call, but I wanted to use it again, and it still works pretty well alongside the watch. 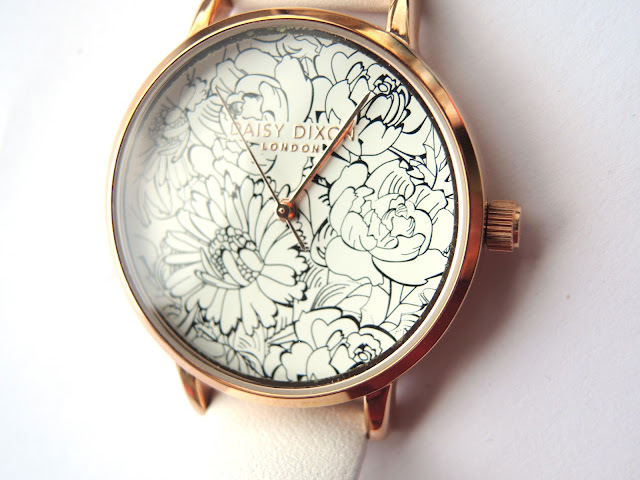 You can purchase the watch here for £45, which is a great price for such a lovely watch. The watch came packaged in a pink and white box (as you can see on the site) and was covered in protective layers so there's no chance of it getting damaged in the post. It's great quality and will be a great accessory for summer. The watch has this gorgeous delicate flower design on the face and I wanted to recreate it as best I could. 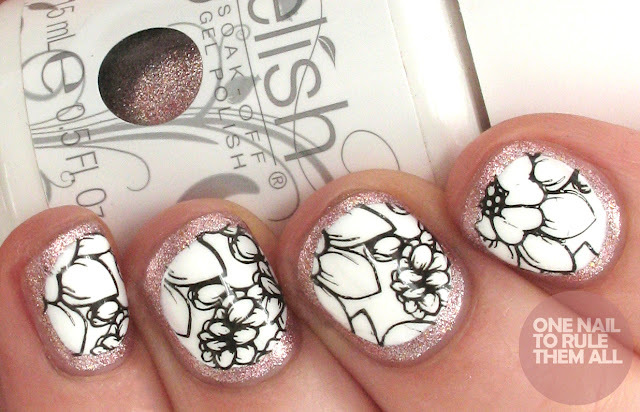 I've been trying to improve my stamping recently and I thought this would be the perfect opportunity to try again. The only problem was finding a stamping plate that matched, but luckily this MoYou plate came to my rescue. I thought the design would match the watch really well, and I love how they turned out. That watch is so pretty, and your nails match perfectly! That watch is GORGEOUS! I love it and I love your nail art! You've captured it so well. The watch is a beauty and I loooove the look you did to match it!! Gorgeous frame and such a classy look overall!! Loved it! What a cool, clever and unique mani! It matches the watch perfectly! So cool! 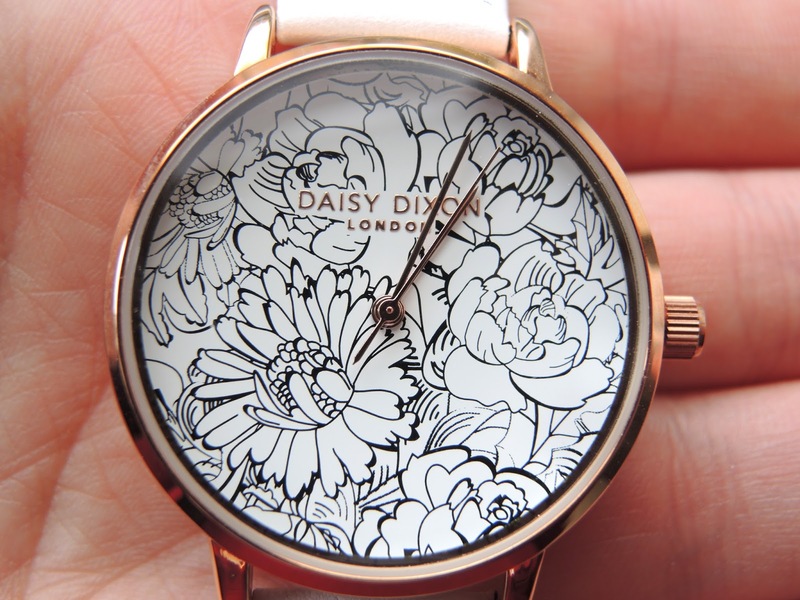 Beautiful watch and oh my gosh your stamping is perfect Alice!! Amazing job! 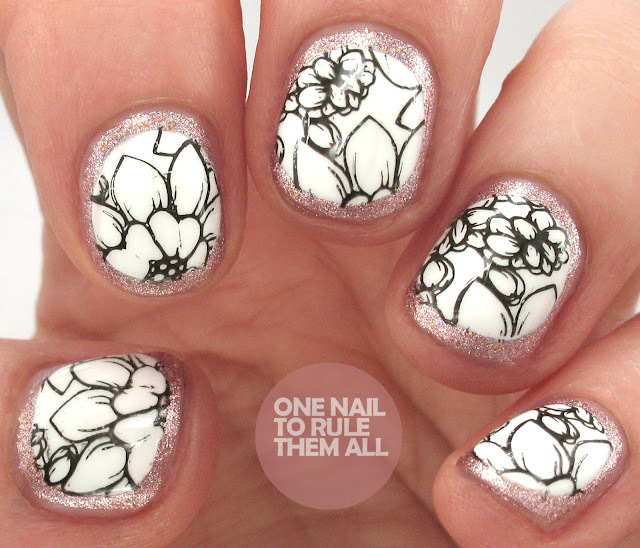 Love the Daisy Dixon range, so much so I want them all and I love how amazing this nail art is. Your nails and the watch make a beautiful combination! You did a very beautiful job! Your design is perfection! It captures the watch SO well. I love the watch too! Beautiful mai. It matches the watch perfectly.